Previous postSlap Bracelets Comeback – Part 2! Maybe you should consider taking the chipmunks on a little “field trip” then leave them in a cardboard box on the side of the road and run away, much like what happened to Jesse in Toy Story 2. (I am so mean!) But really, they drank your vodka! I love the pound of pb cups. A dream come true for me! You know, we do have a lot of cardboard boxes in the garage from Christmas… maybe just the threat will do the trick?? If they touch the p.b. cups, it’s ON. I had some chipmunks once, but they got to be too much trouble and expense (mine liked beer and Fig Newtons), so my parents found a nice farm family to take them. 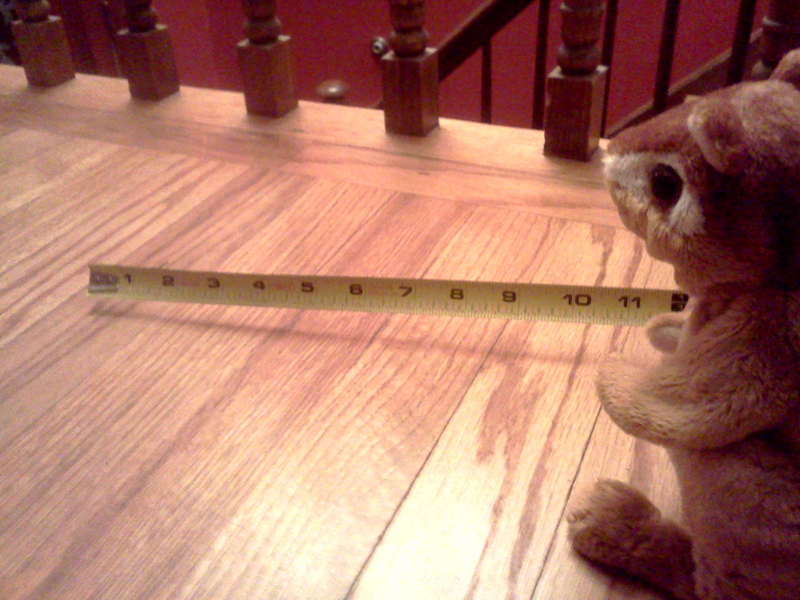 It’s important to let chipmunks run free and not confine them indoors. Or so I was told. HA. 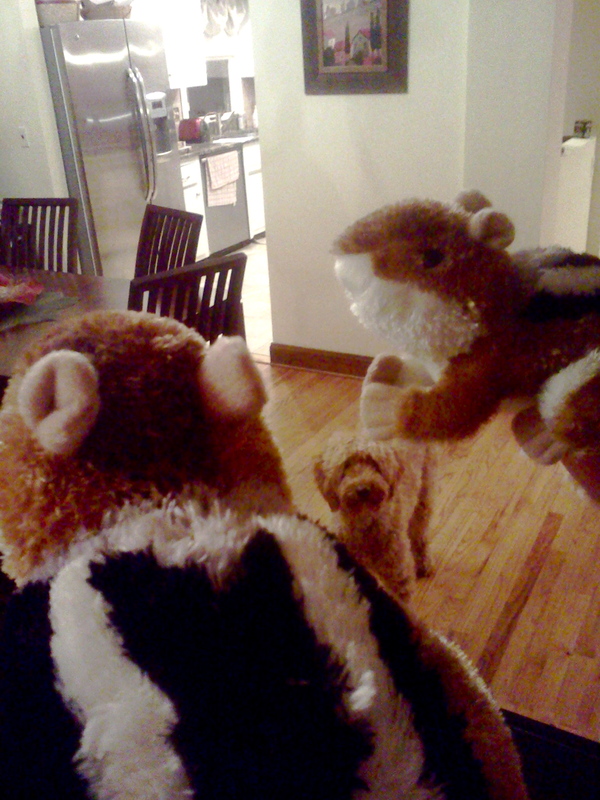 I have always wondered about the fascination with Chipmunks. What is your stance on the Chippendales and of course Chip and Dale? 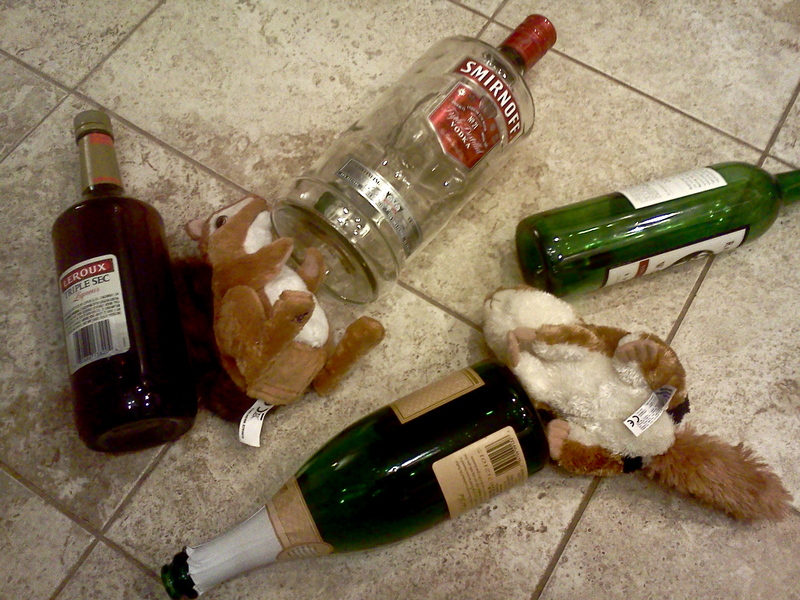 See, this is why any time my wife says, “Oh, look, chipmunks!” I hide the booze. As my BFF, you really should have warned me, Byronic Man. 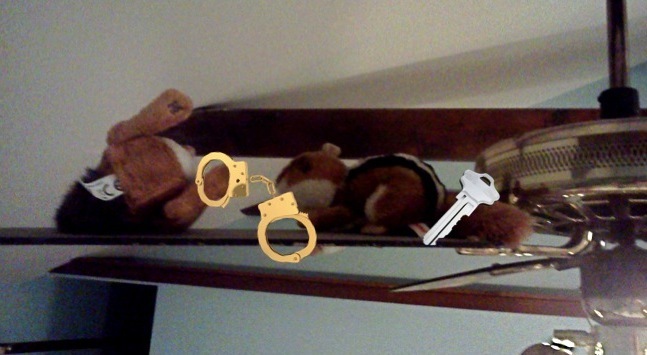 Those munks are what Theo, Alvin and Simon grew up to be. 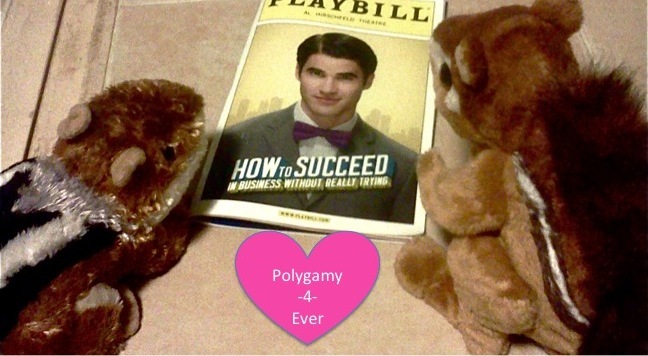 Yeah – the third one’s missing because he’s in rehab! Or the NUT house. I think this post has inspired me to explain my love of glitter! Did you (I hope)?! I’m behind on blogs!! You’re right, Darla. I have to retract my statement. 🙂 I was off and running and then realized I was telling a big fat “white lie!” I did fess up a little with my perjury statement. I know you would never harm any animals, especially chipmunks. And, okay … maybe I did have this twisted sense of humor before I started blogging; maybe! I’m telling you both, if they touch my p.b. cups, I’m hiring you two to figure out how to handle them. Mind games are encouraged. We love our real little chipmunks who come to the bird feeders. Stewart though is bloodthirsty (and quick) – so sometimes a little funeral is in order. I’ve always wondered what Uncle Jesse would do if he ever caught a squirrel. We rarely see chipmunks, which is part of why I love them so much. Maybe I need a bird feeder!! But then I’d never get anything done. I hate to break it to you, but in addition to being drunken degenerates, it looks like one of them is really a skunk. Is that the same monster Reese’s you talked about weeks ago? How long has that one-pound chocolate dream been hanging around your house? I’d have gotten jiggy with it right quick. I was waiting for someone to ask about that!! Can you believe I haven’t touched the p.b. cups? Maybe I AM a hoarder. No, wait. A chocolate curator? Tragic, what can happen to unsupervised chipmunks. On the plus side, I’ve had to sober up to keep an eye on them. That’s way more units of alcohol than a chipmunk should consume in a day. I’ll have to check the FDA recommendations but I would assume it’s less than 1% of that amount. The next day they looked more chipper than ever. I don’t get it. WHOA. 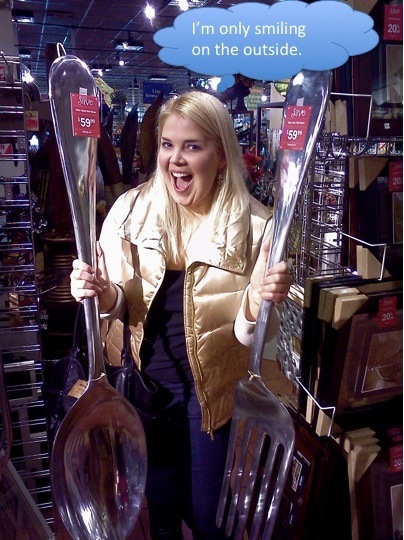 Those are some pretty impressive utensils! Rocket, I would love to see this comment taken out of context. Handcuffs. 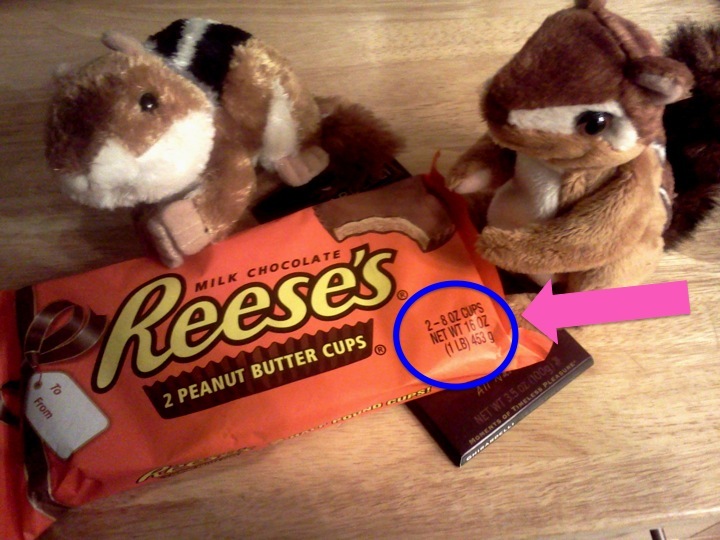 Hmmm… Funky little chipmunkies. I love you so much at this exact moment. Can you please share the key to your awesomeness, such as by loaning out your life coaches? Pretty please? OH MY GOSH!!! I have a triplet to Zest and Zeal! His name is Mr. Chipmunk! You are the only other chipmunk enthusiast I’ve known about, and you’ve just blown my mind. If you haven’t read Elizabeth Taylor’s book “Nibbles and Me,” it’s a must. It’s all about her growing up with a little tiny chipmunk she found. Spectacular. And I ALSO love golden retrievers (that’s ultimately how my dog was named after a “Full House” character…because I always wanted a golden named “Comet”!) and bad puns. P.S. – Please tell me there are pictures of Mr. Chipmunk?! Thank you so much for sharing this – truly! Holy. Shiz. Okay. You just gave me chills. We must talk. Please feel free to email me ANY time (Julie.Davidoski@yahoo.com). And know that that invite stands regardless of this particular “synchronicity”!